Well-anchored in the community, the House is a warm place where the quality of care and respect are at the forefront. Often surnamed by patients and their family members as being a paradise on earth, they rate it as a 5 star. We owe this recognition to the community, patients and their families in large part due to the undeniable contribution of our volunteers. 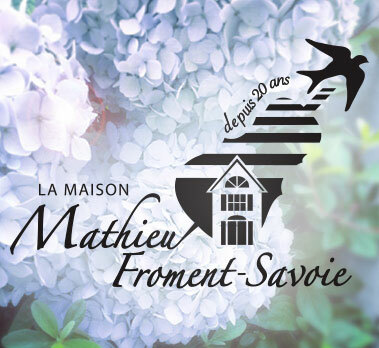 It is with great gratitude that we welcome each year more than 200 volunteers who love supporting the mission of La Maison Mathieu-Froment-Savoie. Without the support of these people, it would be impossible for us to reach this standard and this high quality of care. The involvement of volunteers in this great challenge is unquantifiable. You will agree with me that people in the community who want to get involved by giving their precious time, is very much appreciable. Coordinator for the musical part for 2 years, I compose and I sing for end-of-life patients and their families since 2012. I accompany myself on the guitar and sometimes I add the harmonica, Sweetness, for the end of life is close for them and at that moment, only the hearing still pays attention to what moves around, and until the last moment. The benefits are not only for people who listen, but also for musicians / singers who have the privilege of sharing their art and at the same time relieving some of the physical and moral pain of people at the end Of life and their surroundings. It is proven that music alleviates pain. And it calms the heart and the soul. Marie Leblanc, responsible for the music component of the MMFS at 819 664-3721. Those who have gone through a bereavement, illness or a breakup are strongly advised to wait at least 12 months before applying in the care sector. Would you like to get involved? Here’s how!